Mobile World Congress is just weeks away, and with Huawei and LG reportedly delaying their MWC announcements, the stage is set for the mid-range market to dominate the show floor. We already know that the highly-anticipated Samsung Galaxy S9 will be making an appearance in Barcelona, following its official unveiling on 25 February. But considering last year’s Galaxy S8 launched at £689 Sim-free, it’s unlikely that its successor will be an option for buyers on a budget. We reached out to Which? readers to get their thoughts on budget and mid-range smartphones. 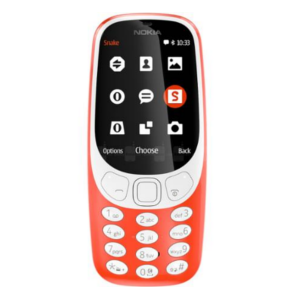 Interestingly, only 8% told us they would be willing to spend over £500 (to £700) outright on a new smartphone, and 52% said they’re looking to spend less than £300. If you balk at paying upwards of £600 on a smartphone – 2018 could be your year. 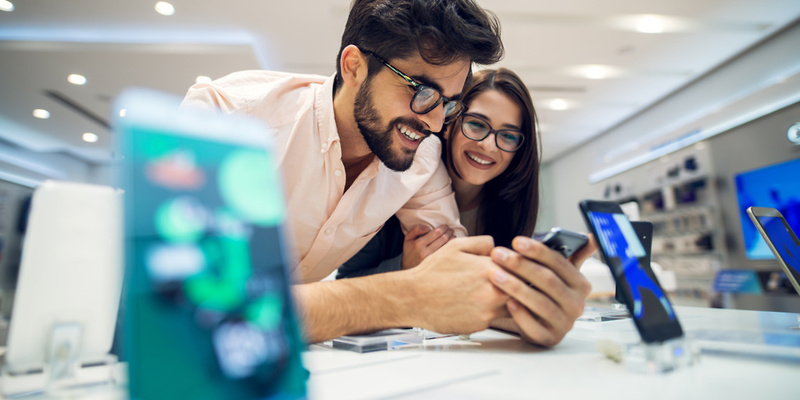 With a range of manufacturers planning mid-range phones that tick all the most important boxes, those looking to save on their next mobile could be spoiled for choice. Last February we got our first look at the Moto G5, and a year on the range is getting a makeover. In a couple of weeks we’ll have our hands on the Moto G6 and G6 Plus. Judging by leaked images courtesy of Mysmartprice, Motorola has taken steps to banish the chunky bezels featured on the old Moto G5. The G6 will have a 5.7-inch 18:9 screen that gives you a little more space to play with, but the fingerprint sensor is still sat underneath the display. The phone is powered by a Snapdragon 450 processor, and you’ll be able to choose between 3GB of Ram and 32GB of storage or 4GB of Ram and 64GB of storage. It has 12Mp and 5Mp rear-facing cameras and a 16Mp snapper on the front. 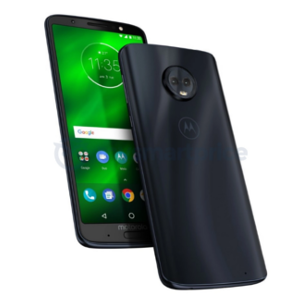 The Moto G6 Plus (above) shares a similar design, aside from the screen. It’s expected to feature a 5.93-inch Full-HD display and a hefty 6GB of Ram, which should make it a real powerhouse when it comes to multitasking and running demanding apps. We’ll also be keeping an eye on Alcatel. The company unveiled the 1 Series, 3 Series and 5 Series at CES this month, but spent its time talking about design rather than specs. We’ll know more about the new arrivals when we get some hands-on time in Barcelona. The 1 Series is the cheapest of the bunch, set to go on sale for ‘less than $100’. It has an 18:9 screen and a fingerprint sensor on its back. The mobile also supports facial recognition unlock, a feature that’s quickly making its way down the price ladder. 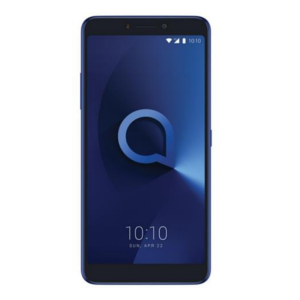 Alcatel’s 3 Series has a higher resolution display, although the details are yet to be confirmed, Unlike the 1 Series, it has a dual camera set-up and a glossy back. It will go on sale for ‘under $200’. Last but not least is the 5 Series. Although it will be the most powerful of Alcatel’s new smartphones it’s still expected to sell for less than $300. For that price you’ll get an 18:9 screen and dual front-facing cameras, one of which is a wide-angle lens. Sony will have something to show off at its MWC press conference, and reports of a new Xperia XZ Pro are gathering momentum. Admittedly, Sony hasn’t made any big design tweaks to the Xperia series for a number of years, so that could be about to change. Information coming from MyDrivers suggests the flagship mobile will sport a 5.7-inch OLED display with 4K resolution. It will run on a Snapdragon 845 processor, boast 6GB of Ram and 128GB of storage. 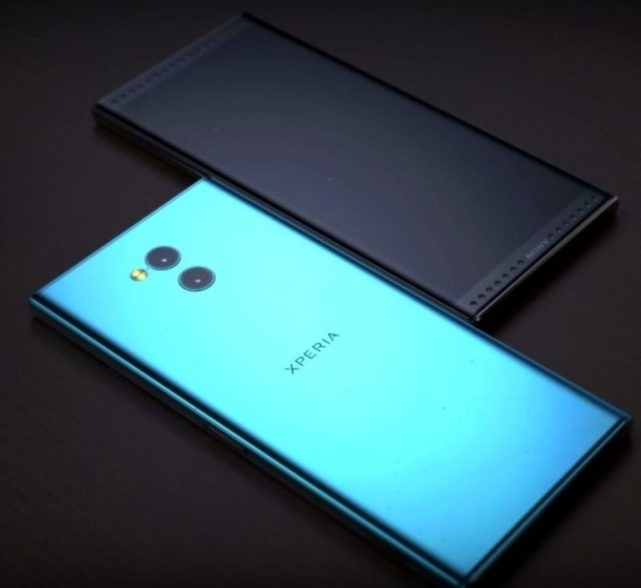 We expect to see dual cameras on the Sony Xperia XZ Pro. To see how Sony smartphones perform in our test lab, take a look at our Sony smartphone reviews. The retro-looking, eyebrow-raising Nokia 3310 (right) was one of the stars of the show at MWC 2017. We’ve heard suggestions that a 4G model will be unveiled this year, alongside a high-end model, the Nokia 9. Will mid-range smartphones take over this year? With features that were previously reserved for flagships now making their way down to mid-range models, it could be increasingly more difficult to justify spending big on a new smartphone. The MWC line-up shows that manufacturers are preparing to deliver. Now, we’re seeing more and more sub-£500 phones with premium features such as fingerprint sensors, dual cameras and large displays over 5.5-inches. The OnePlus 5T at £450 is a good example, but even cheaper mobiles such as the LG Q6 (£250) can offer a stylish, near-bezeless design. We’re looking forward to seeing what sort of premium features smartphone brands pack into their affordable handsets this year. We’ve tested a range of cheap smartphones in our test lab, paying close attention to speed, battery life and camera quality. For help on picking the perfect smartphone for you, see our advice on buying a mobile phone on a budget.